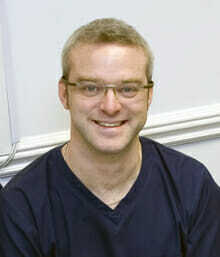 Dr Andrew Fennell is the clinical director at Winning Smiles. Pursuing his passion for Aesthetic Dentistry lead him to dental implants as the gold standard solution for replacing missing teeth. He now routinely carries out immediate placement and loading of dental implant teeth and full mouth replacement and other advanced techniques, at his dental surgery in Romford, Essex. Andrew has invested in progressing the art of dentistry, and has brought in advanced dental equipment such as the digital CT Scanner and immediate implant placement technology to make fixed replacement teeth available to a greater number of patients in our area. Andrew also spent time training with Dr Lorenzo Vanini on superior cosmetic italian filling materials and techniques.